It seems like Savile Row-inspired fabrics come down the fall runways every year. (What typically used to be dubbed “menswear” we’ll just call suiting going forward because, well, 2017.) 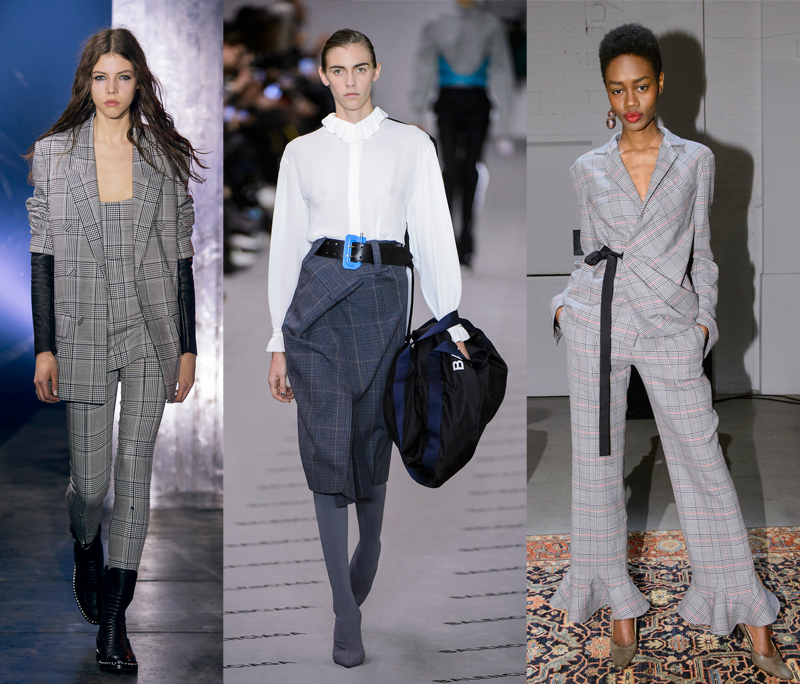 While the general concept may not seem so radical, designers for Fall 2017 did their damnedest to flip the script on the old-school gray suit and make it fresh again. And it appears the street style set has taken the bait. So get ready: if the fashion insider crowd is any indication, this season promises to be a tailored one. Alexander Wang’s interpretation of the trend came in several forms, all mixed with his signature shot of edge (i.e., black leather accents). Models were sent out in everything from glen plaid oversized coats, high-waisted skinny trousers and even jumpsuits. Rosie Assoulin mixed her suiting with whimsical, feminine details like ruffles, bows and ladylike silhouettes. Balenciaga’s versions were exaggerated and deconstructed, naturally, and made to look misbuttoned and haphazard. No matter your vibe, there was an option to suit your style. Fashion girls were quick to pick up on the phenomenon and instantly started suiting up in their own versions. So if you’re ready to take on the trend yourself, but could use some outfit inspiration to help get you started, look no further than our street style slideshow ahead.